As I look back on 2017 and start planning for 2018, there are three things that I most excited about. In September 2017 we celebrated the first Because birthday in Ireland. It was a year of great change in our Dublin office. We streamlined our team and then added in some really fantastic new additions across Creative (Paul Kelly), Production (Shane Guerrini) and Staffing (Vanessa Quinlan). It’s safe to say their addition to the team has led to a hugely successful year for the agency including several new clients and award wins. As we move into 2018 our team is more focused than ever in delivering innovative and successful campaigns for our clients. Next year, we will also start to work more across the global network with the addition of several new faces to the core team. This has allowed us to pitch (and win) global experiential, digital and VR campaigns that we will work on together in the new year. I am personally very excited about working on a truly global project that will kick off in NYC in early 2018. It will be a chance to really show what Because can achieve globally for our clients. 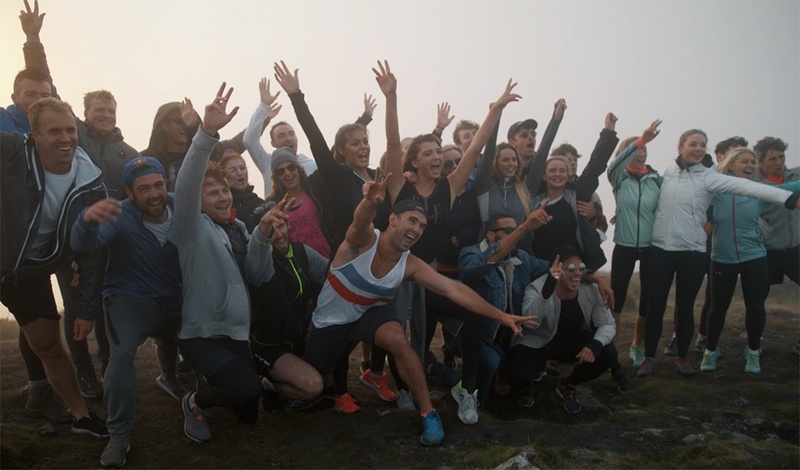 In the past year, we have been consistently creating and executing digital amplification for our clients including a very early morning dance on the Sugarloaf Mountain in Wicklow. We have also created several VR campaigns to enhance our client campaigns. To ensure we stay ahead of the field we have appointed a Global Digital Director who will be based in the Dublin office. This is a really exciting investment for both Because Ireland and Because Global. We know the importance that digital and social amplification plays in the success of our client work so now we can put these vital elements at the heart of our thinking from a strategic standpoint right from the outset. 2017 saw my personal passion for skiing and my professional passion for live experiences come together with Après Dublin which was our own event in the heart of Dublin where 20,000 people celebrated the Christmas season in our custom-built ski lodge. Coors Light became our event partner, we developed our own gin brand and we had 18 nights of the best Christmas parties in Dublin. We're very proud of this achievement but we are already looking to the future and to how we can do even more with the event in 2018. Watch this space!